The Balboa Island Artwalk is the premier showcase for talented local artists and marks the start of the Island's summer season. 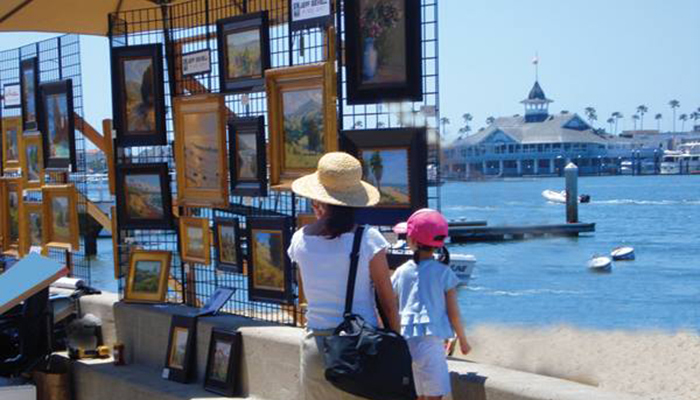 The 25th Annual Balboa Island Artwalk will take place on Sunday, May 19th, 2019 from 9am to 5pm along the South Bayfront Promenade. Admission is free. This fine art show features 100 artists exhibiting paintings, fine jewelry, blown glass, sculpture, and photography. Spectators will enjoy live music throughout the day on five stages along the walk. The Balboa Island Artwalk is presented by Mary Hardesty Realty.